Notes - A GOD OF RESTORATION! What kind of restoration does God want to do? The Lord wants to come and restore your life and to restore new life to you. The Lord is the source of all life throughout the universe. Life always and only comes from God and all life is sustained by His self-existent life. The Lord intimately shares His gift of life with people, creating each in His image which gives all the capacity to know His eternal life. He wants us to know His 'zoe' life - the very life of God Himself. The Lord wants to come and restore vision in our lives. Vision is the ability to see - the picture you see in your mind. Let Him come and restore your vision. May you be able to see beyond your current situation and beyond what you can see with your physical eyes! 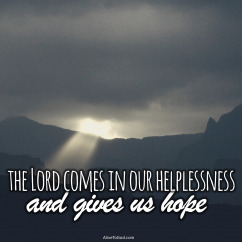 The Lord wants to come and restore your hope. Hope is an optimistic attitude of mind based on an expectation of positive outcomes. The Lord wants your hope to be restored. Believe Him for the restoration of your hope. The Lord wants to come and restore your confidence. Perhaps your confidence has been undermined and eroded. 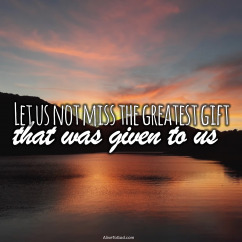 Give it to Him and see how He will bring restoration in this area of your life. Let Him come and restore your hope right now. May hope arise within your heart and soul! The Lord wants to come and bring restoration in the area of productivity and fruitfulness. May you experience His restoration in this area as well! May you know what it means to be effective, fruitful, productive and filled with destiny and purpose! That is His plan of restoration for you.